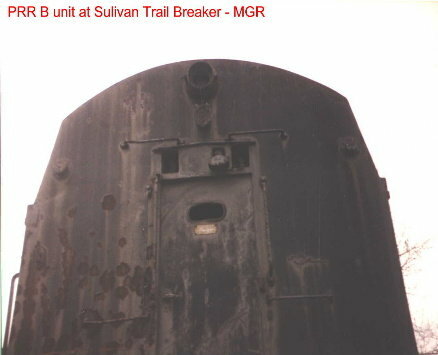 Here are some shots of the PRR Shark B-Unit that was at the Sullian Trail Colliery in West Pittston, PA. 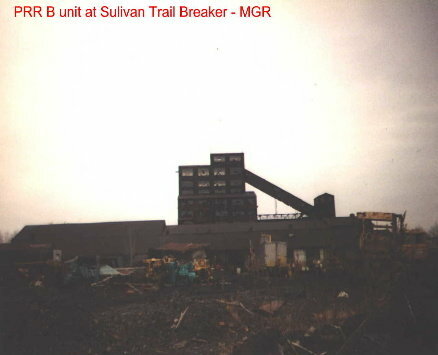 The coal company tried to adapt the machinery in the B-Unit to power an electric power shovel. 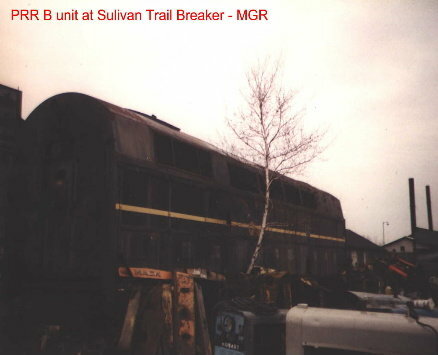 The B unit was mounted on truck axles and most of the stuff inside was stripped out. 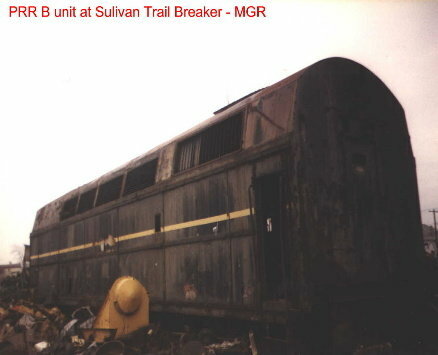 According the Xtra 2000 magazine - the coal company was unable to get it to work. The pictures were taken in around 1991. Nothing is left at the site and it is now being developed into townhomes residntial lots.